26 year old Dilgir Rahman Ayaz poses for a photo in Dhaka, Bangladesh. 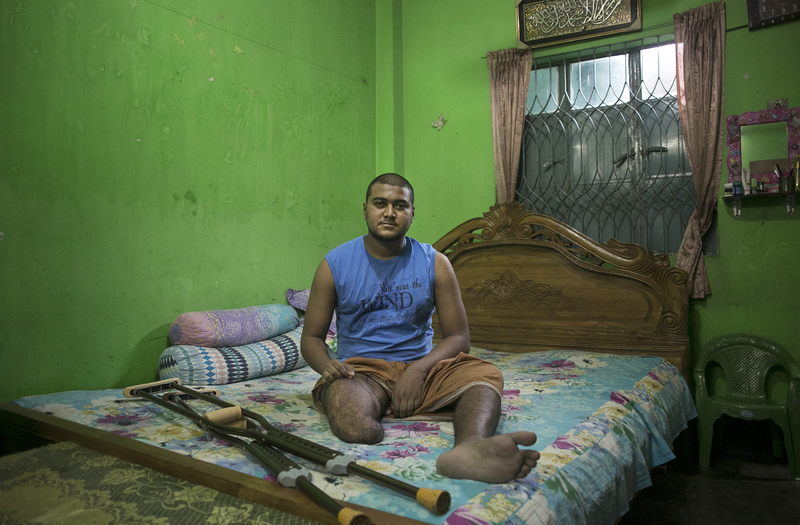 Aya lost his leg in last year's attack at Hussaini Dalan. On October 24th 2015 three bombs were thrown at the Hussaini Dalan Shia shrine during a large gathering, killing one and injuring over 100 more. Ayaz was the sole money earner in his family and has not been able to work since the accident. "Whoever did this is against Islam." Ayaz said. ISIS claimed responsibility for the attack.